Do have a glass door entrance into your retail space? Check out the slimmest double-sided lightbox you never heard of. Would you like to be able to merchandise your glass entrance in an elegant way? 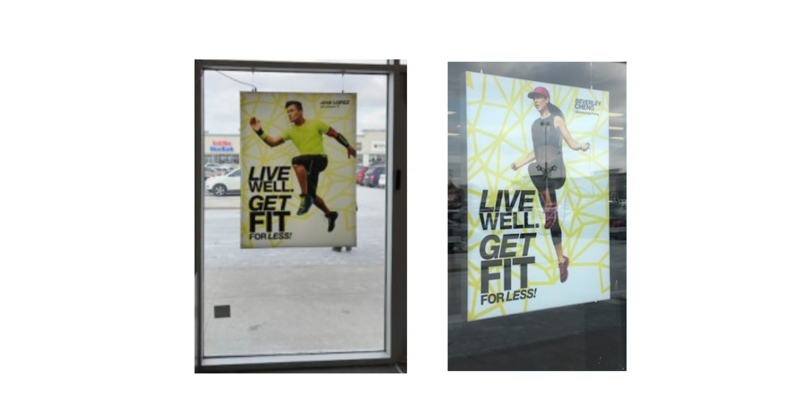 Challenge: Our client wanted to be able to hang a lightbox sign at their store entrance highlighting promotions so customers could see it during the darker winter months. HAD TO not be able to see the electrical the cord. HAD TO be able to have merchandising images on both sides. The slimmest double-sided edge-lit fabric lightbox on the Market. It is ideal for hanging or floor-standing applications and perfect for those tight narrow spaces. The electricity is wired through the hanging wire. This lightbox is super easy to install no tools and interchange fabrics in the store. We can ship the fabric at a fraction of the cost. Please contact McRae at 905.569.1605 or email marketing@mcraeimaging.com for more information on our double-sided slimmest fabric lightbox. Perfect for retail door entrances.